Quark-gluon plasma exists in theory. In fact, it is a lynchpin of nuclear science. Yet, it has never been seen or detected by humans. Scientists believe they have devised a machine that, for an instant, can transform everyday sub-atomic particles back into a quark-gluon plasma. 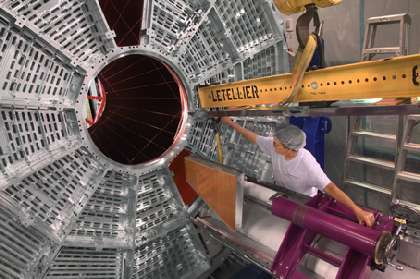 STAR is a detector built to discover this plasma. If STAR does not detect quark-gluon plasma, then perhaps something is very wrong with our theory of matter. The kingdoms of particle physics and cosmology will be shaken to their roots.